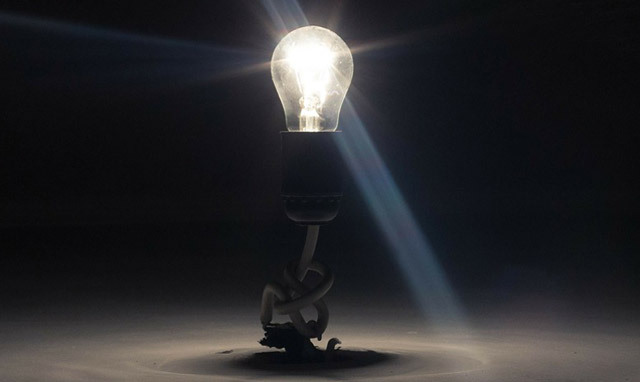 Eskom took credit for accelerating the number of households connected to the electricity supply, after Statistics South Africa revealed on Thursday that levels increased “consistently from 77,1% in 2002 to 85,5% in 2015”. This came as Stats SA also revealed that electricity generation increased by a relatively small 0,8% year-on-year in April 2016. “The latest household survey results bear testament to the hard work that Eskom and municipalities, through the support of the department of energy, have put in making sure that we accelerate government’s stated objective of achieving universal access to electricity by 2025,” said Eskom spokesman Khulu Phasiwe. “Together with municipalities and the department of energy, Eskom will spend R17,6bn over the next three years to connect 840 000 households to the grid. Stats SA said the percentage of households that used electricity for cooking increased from 58% in 2002 to 78,1% in 2015. It said the use of electricity as a source of energy for cooking was highest in Free State (86,9%), Northern Cape (85,9%) and Western Cape (85,4%) and lowest in more rural provinces such as Limpopo (60,1%), Eastern Cape (73,1%) and Mpumalanga (74,2%), where alternative fuels such as wood are, perhaps, more accessible and affordable. Eskom and government increased the proportion of households with access to electricity from 44% to 85% over the past 20 years, Eskom explained. “This is no mean feat because, each day, our work is about enabling more South Africans to have access to electricity, so that they can achieve a level of progress in their lives and in their lifetimes that previous generations of South Africans could only have dreamed of. “To achieve universal access to electricity for all her citizens, South Africa will need to invest more in power generation infrastructure. Stats SA also revealed on Thursday that electricity generation increased by 0,8% year-on-year in April 2016. This followed month-on-month changes of -1,8% in March 2016 and 1,1% in February 2016. Seasonally adjusted electricity generation decreased by 0,5% in the three months ended April 2016 compared with the previous three months. Government is hoping to build 9,6GW of nuclear power by 2030 to address power supply issues, but concerns are mounting over how it will be financed and how it will address legal issues regarding the transparency of the process. The renewable energy programme in the meantime is moving forward with full gusto. This forms part of the National Development Plan (NDP). The NDP requires “the development of 10GW of additional electricity generation capacity by 2020, against the 2013 baseline of 44GW”, the department of energy explained in an EE Publishers overview. The renewable energy independent power producer procurement programme is on course to procure 6,9GW of renewable energy by 2020 from onshore wind (3,5GW), CSP (600MW), solar PV (2,7GW) and small hydro, biomass, biogas and landfill gas (combined 125MW). Eskom was also responsible for me switching to solar and getting off the grid. Thanks for nothing Eskom.